The city bar sits neatly below the front bumper to add that finishing touch to the front of your vehicle. The front bar is supplied complete with all the mounting brackets ready for installation. We use only the Best European Quality Stainless Steel Tube from Italian Steel Mills. Our Tube has a massive 1.5mm wall thickness for great quality A Bars. 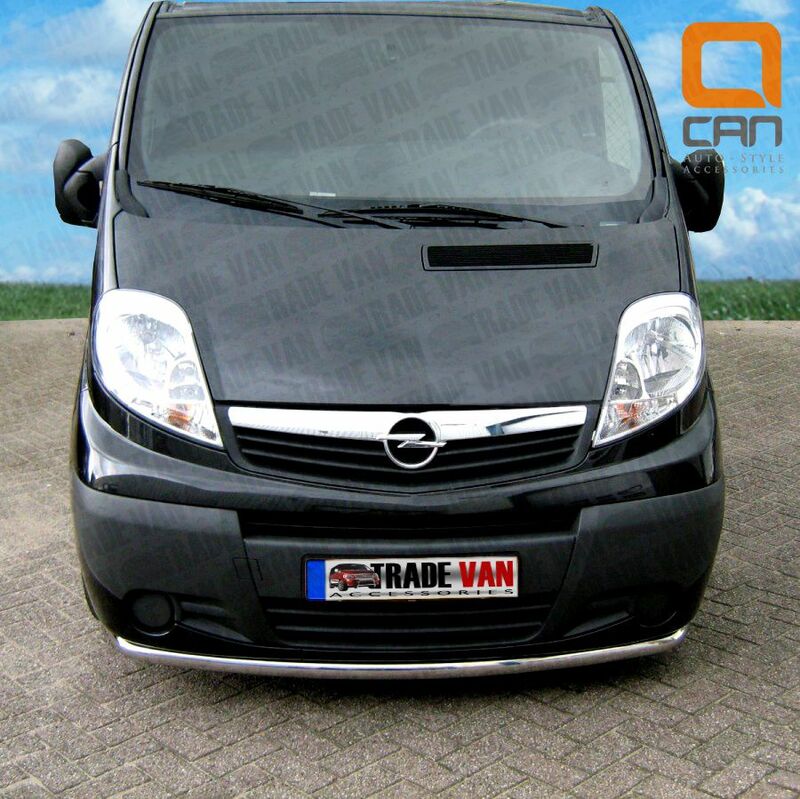 The price includes one tubular Front City Bar for Vauxhall Vivaro that fixes to original mounting points. These are a NON DRILL product. Our A Bars and Steps are Hand Polished to a mirror finish. Massive 1.5mm thickness tube walls produced in Italy - Beware of inferior Chinese Nudge Bar Copies! Excellent value Front Bar for your Vauxhall Vivaro Van options too giving an excellent finishing touch. Click the button below to add the Vauxhall Vivaro Front City Bar Front Nudge Bar 2001-13 Bumper Bar to your wish list.